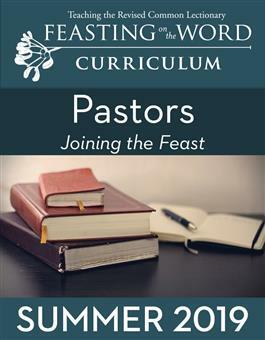 Joining the Feast is a 16-page, downloadable quarterly resource that helps pastors intentionally link the worship experience to the educational themes. Worship leaders will appreciate sections that connect the rhythm of the church year with an overview to the curriculum quarter, and provide shape to the season by expanding on the weekly focus Scriptures. Suggestions for intentional integration of curriculum activities into worship services and program ideas for special Sundays, such as Reformation Sunday and Holy Week are also found in this invaluable resource intended for all those who lead worship. Joining the Feast resource for summer 2019 includes material for the summer season of curriculum, June 2 through August 25, 2019. Resources include the Shape of the Season resource, the Church Year Calendar, ideas for integrating curriculum activities, all-church program ideas for special Sundays, and featured articles that expand the theme of the season. A Children's Bulletin is also included for each week.